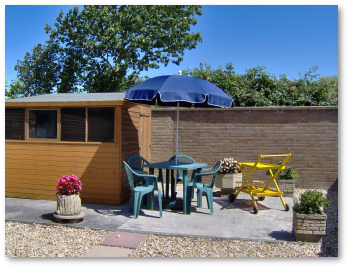 Enclosed patio area which is not overlooked, with garden table, parasol and chairs. 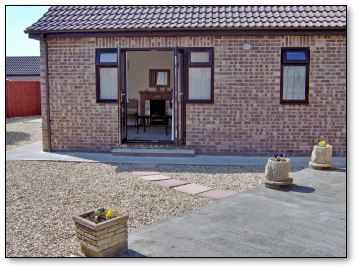 The rest of the rear garden is either paved or covered with pebbles. There are also some plants in containers. Double patio doors in the lounge open onto the garden. The driveway has off road parking for up to 3 cars. 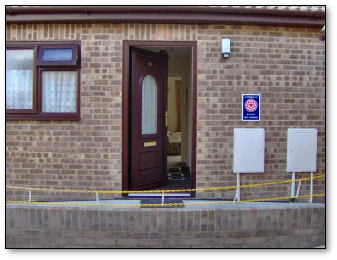 Photo showing wheelchair ramp to the front door.